to the tech giant for breaching EU antitrust rules, saying it abused its market dominance by imposing multiple restrictive clauses in contracts with third-party websites which prevented Google’s rivals from placing their search adverts. “Google has cemented its dominance in online search adverts and shielded itself from competitive pressure by imposing anti-competitive contractual restrictions on third-party websites,” commissioner Margrethe Vestager says. Websits such as news and travel site aggregators often have a search function embedded which delivers both search results and search ads. From 2006, customers of this business, called AdSense for Search, were made to sign contracts stating they wouldn’t accept advertising from rival search engines. 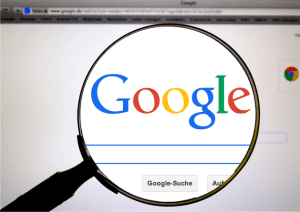 Since Google rivals such as Yahoo and Microsoft are not able to sell advertising space in Google’s own search engine, third-party websites are an important entry-point for these other services to compete with Google, the Commission argued. From 2009, Google began replacing the exclusivity clause with “Premium Placement” clauses, requiring publishers to reserve the most profitable space on their search results for Google’s ads and requested a minimum number of Google ads, diminishing its rivals ability to compete. It also began forcing publishers to seek written approval from Google to change the way any rival ads were displayed, giving the tech giant control over how “attractive and clicked on” its competitors ads were. Google ended these practice a few months after the Commission first raised concerns in 2016. Locally, the search giant is also facing scrutiny for its practices in the market. It remains part of an inquiry by the Australian Competition and Consumer Commission (ACCC) which is focusing on both Facebook and Google’s impact on Australian journalism. ACCC chair Rod Sims called on advertisers in Australia to work with the watchdog on the issue of Google’s possible abuse of market dominance. Google has been slapped with a €1.49 billion (AU$2.38 billion) fine by the European Commission for its “abusive” online advertising practices. The European Commission handed down the penalty to the tech giant for breaching EU antitrust rules, saying it abused its market dominance by imposing multiple restrictive clauses in contracts with third-party websites which prevented Google’s rivals from placing their search adverts.